You guys check these goods out? 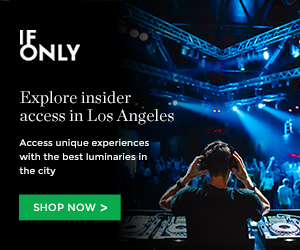 Looks like the ultimate hipster ho-down, Sunset Junction got a lil TOO BIG. Keeping it intimate and staying true to LA’s local bands and artists, the Silver Lake Jubilee sounds like a a legit festival to attend. The line-up looks great and it’s nice to see some LA bands on the bill that are cruising under the radar getting some decent exposure. The Entrance Band, Foreign Born, The Living Sisters, Mississippi Man, The Mo-Odds, The Growlers, Eulogies, Voxhual Broadcast, and so many more! And guess what? The price is right! Only $5 to attend. It’s gonna be an awesome sunny LA weekend. Get on it! Buy your tickets here and get more info at www.silverlakejubilee.com. 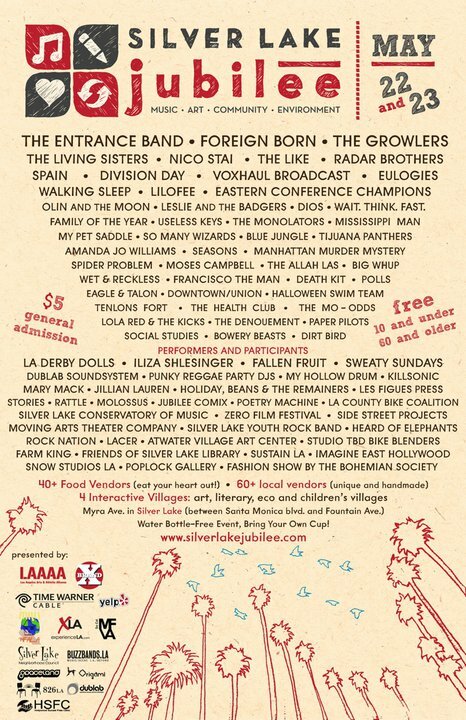 This entry was posted in Uncategorized and tagged Eulogies, Foreign Born, Hot Fesival Alert: Silver Lake Jubilee, Mississippi Man, Silver Lake Jubilee line up, Silver Lake Jubilee new sunset juction, Silver Lake Jubilee press passes, The Entrance Band, The Growlers, The Living Sisters, The Mo-Odds, Voxhual Broadcast on May 6, 2010 by Sandra Burciaga Olinger.